Today’s modern workplace looks very different from generations past. Gen Z is a workforce that’s intimately familiar with navigating technology and has grown up with devices and innovations at their disposal. These new employees are entering the workforce comfortable with utilizing gadgets to complete tasks and are demanding solutions that drive productivity and convenience. HP, a tech leader focused on bringing solutions to today’s workplace, understands the changing role of technology at work and has announced new offerings that it says answer to the emerging need. At its HP Reinvent global partner event, the company announced it’s releasing notebooks designed specifically for SMBs, new security-as-a-service offerings and said they’ve entered into a partnership with video conferencing services provider Zoom to deliver advanced video collaboration tools to today's workers. Zoom is an easy, reliable cloud platform for video, voice, content sharing that makes it even easier for businesses of all sizes to collaborate across distances and while on the go. Video communications are leading the charge at today’s offices. By partnering with Zoom, HP can deliver pre-loaded solutions that are scalable, feature-rich and easy to deploy and manage so IT resources can be focused on other business needs. HP Elite Slice G2 with Zoom Rooms - This device is designed for medium to large sized rooms and can be used in environments with existing AV infrastructure or to connect to third-party audio and video peripherals. 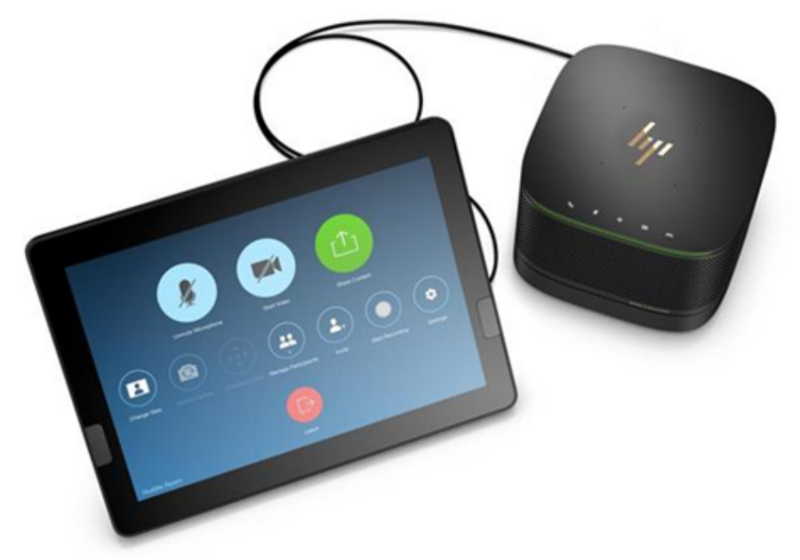 HP Elite Slice G2 Audio Ready with Zoom Rooms - This device comes pre-configured Zoom Rooms software and makes it easier for enterprises to connect users for meetings with an intuitive Center of Room Control. HP Collaboration PC with Zoom Rooms - This device works well in any space including boardrooms, classrooms, and training centers that have specialized needs. In addition to customized conferences, it ensures compatibility is possible with three-screen displays, ceiling microphones, video cameras, and other conferencing requirements. “The fact that our customers can take these systems right out of the box with Zoom Rooms already pre-configured means that they can roll out hundreds or thousands of these rooms quickly, and the options for integrating with other A/V systems allow them to use Zoom Rooms for any space, from small team huddle rooms to large-scale or specialized spaces,” said Zoom head of product management, Oded Gal.